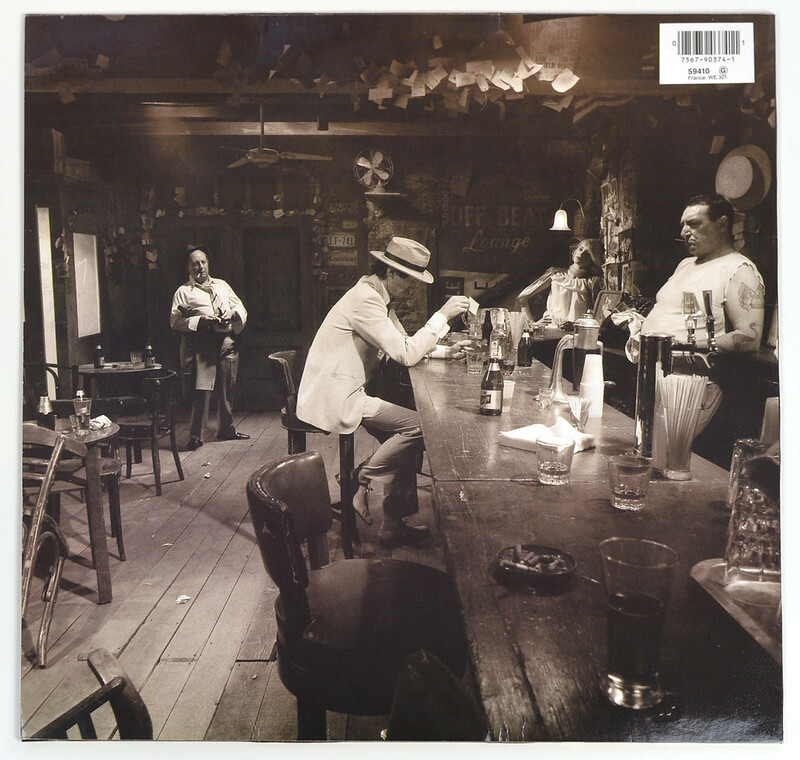 "In Through The Out Door" is the 10th album by the British Rock band Led Zeppelin and was originally released in 1979. 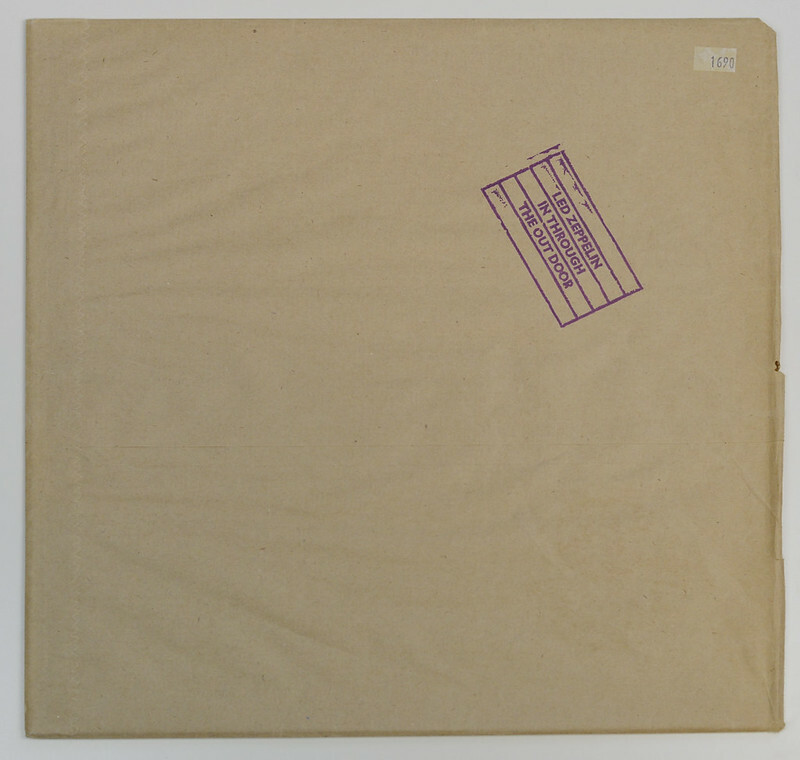 This 12" LP black vinyl music record comes comes in the original brown paper bag. This is the so-called "A" version. 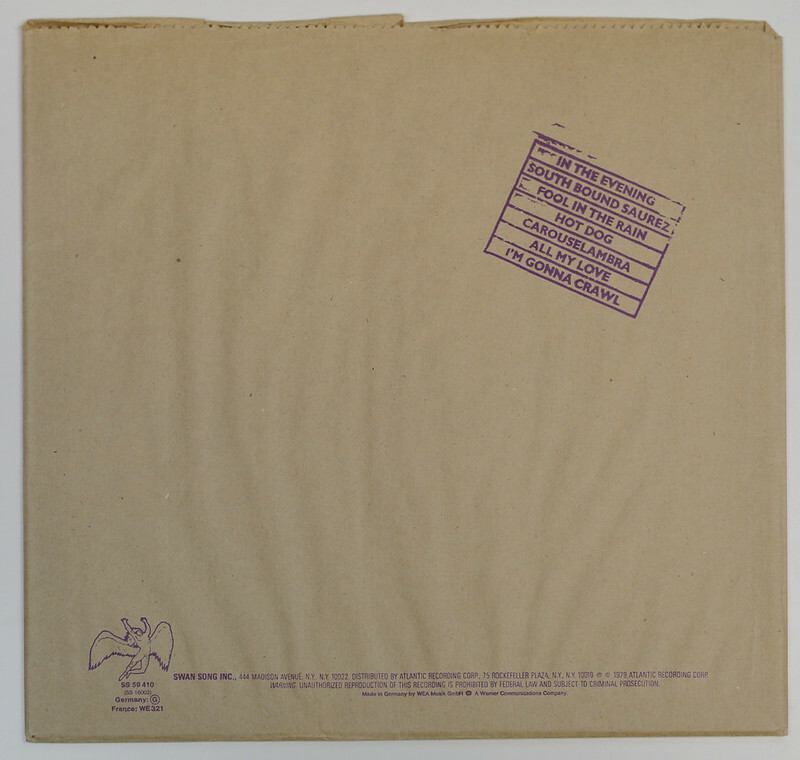 This original LP version of this album features an unusual gimmick: the album had an outer sleeve which was made to look like a plain brown paper bag, and the LP record sleeve proper featured black and white line artwork which, if washed with a wet brush, would become permanently fully coloured. 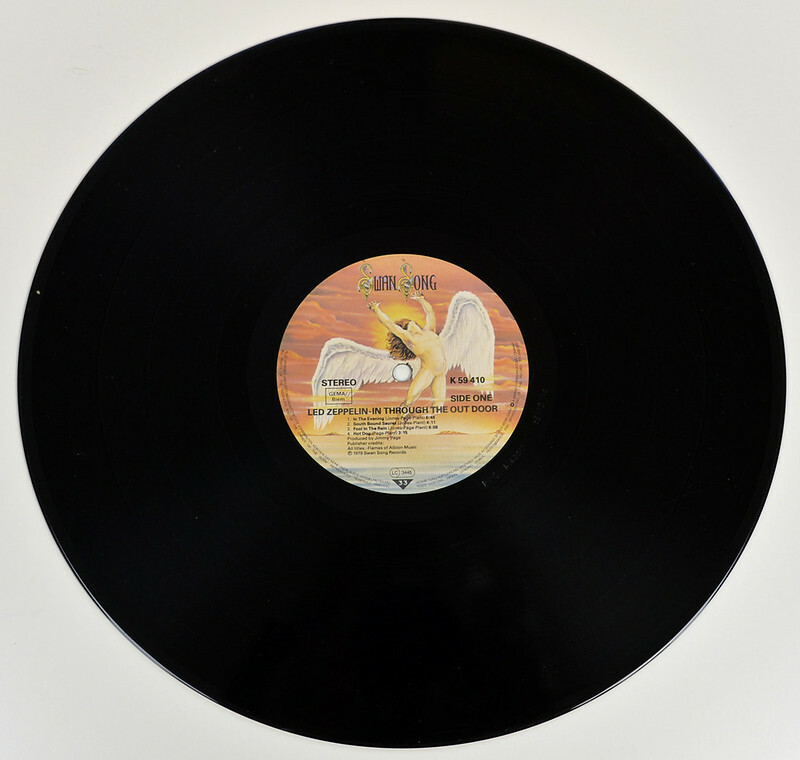 Vinyl: Near Mint (NM or M-) - A nearly perfect record. 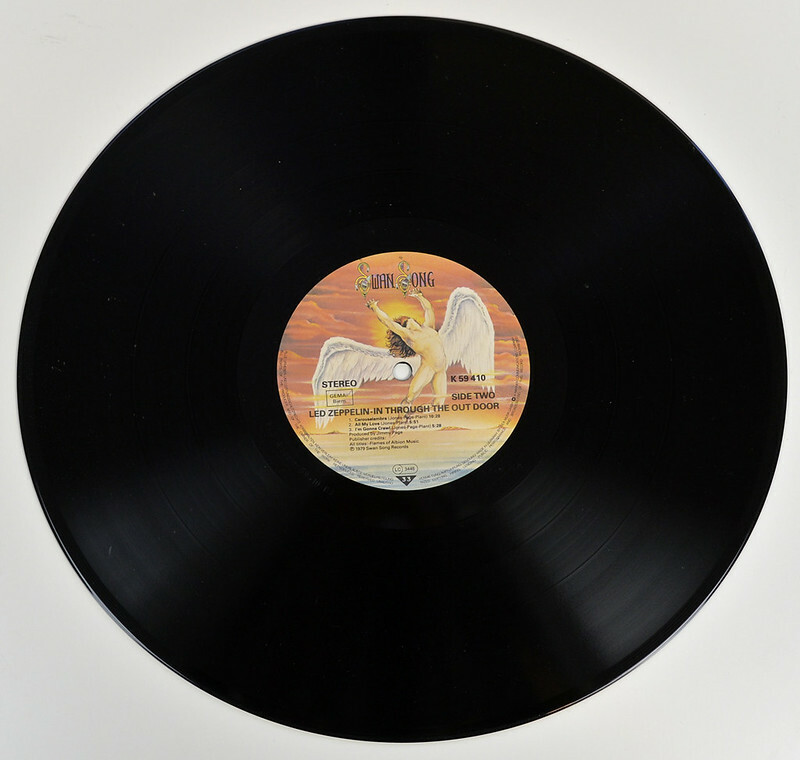 A NM- record has more than likely never been played, and the vinyl looks perfectly, with no visible imperfections. This album was recorded and mixed at: Polar Music Studios, Stockholm Sweden. 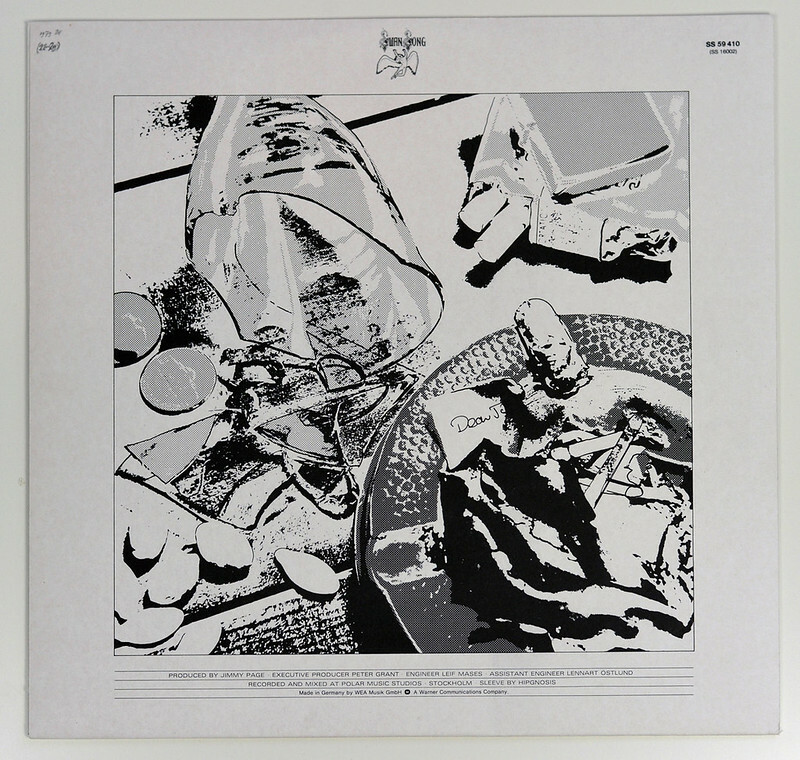 High Resolution and Quality Photos of Complete Album Covers "LED ZEPPELIN - In Through The Outdoor (1979, Germany)"
Album Back Cover Photo of "LED ZEPPELIN - In Through The Outdoor (1979, Germany)"
Robert Plant a British Singer best known as lead singer of the British Rock band "Led Zeppelin" in which he performed from 1968 until 1980. 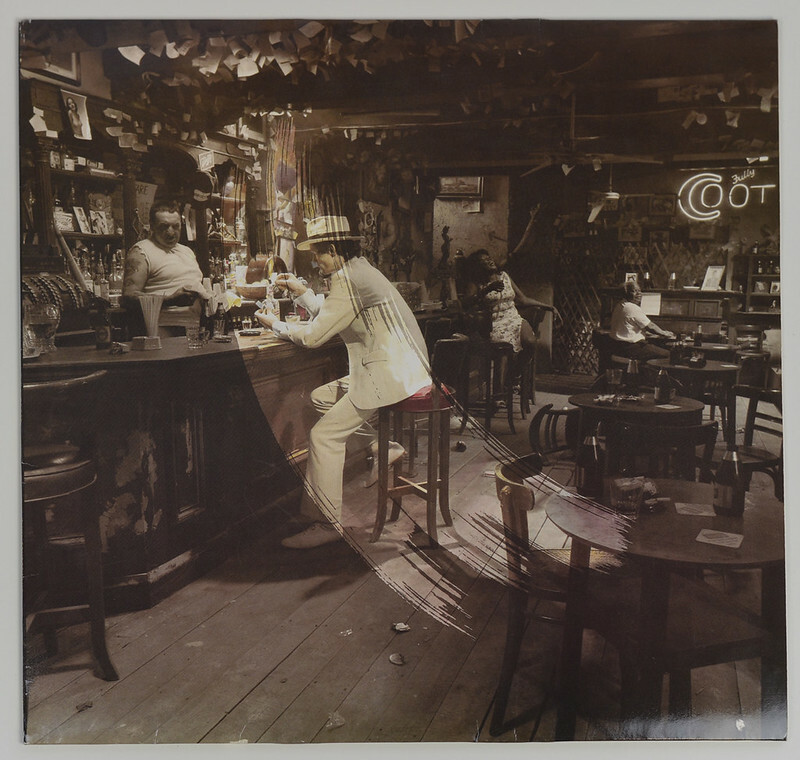 He started his singin career in the band "New Yardbirds", which later became "Led Zeppelin". After "Led Zeppelin" was disbanded, Robert Plant participated in many projects and bands , he has worked many times together with Jeff Beck (eg The Honeydrippers) as well as with Phil Collins. 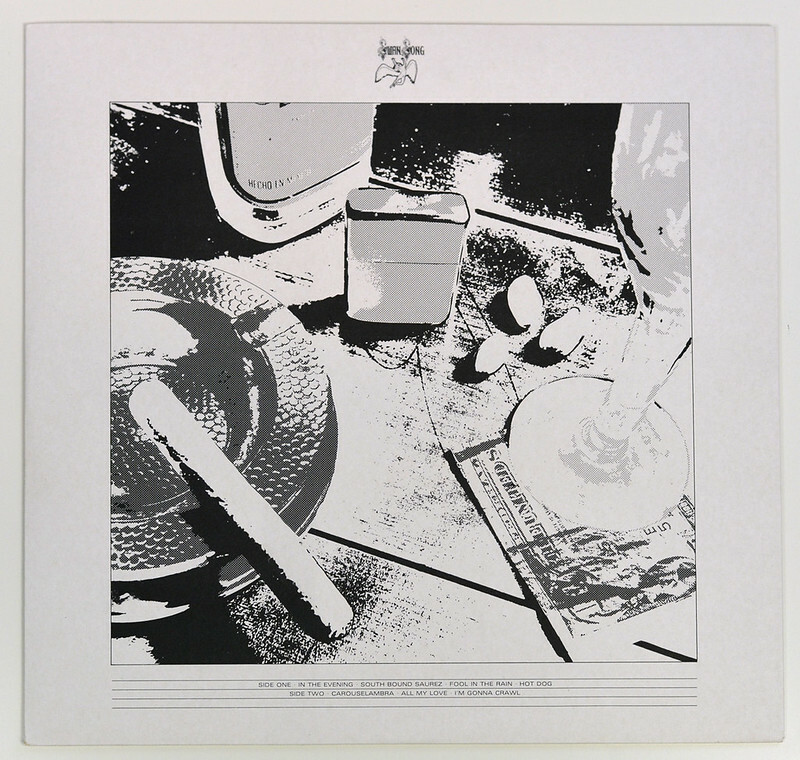 Complete Track-listing of the album "LED ZEPPELIN - In Through The Outdoor (1979, Germany)"